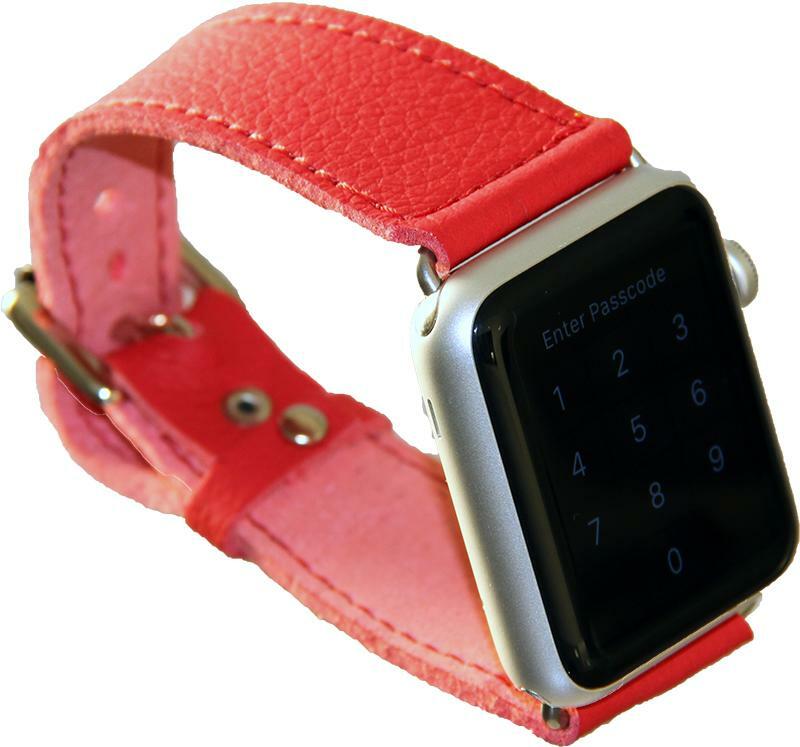 Our NEW design: the Apple Watch Strap. Shown in Scarlet. Size: 25mm to fit the Apple Watch. The strap comes with adjustable micro fibre strap, metal bolts so you just need to slide the metal parts onto your watch. Fitted with quality metal buckle, the strap is fully breathable so your skin will breathe in the area where the strap has contact with your skin preventing it from sweating. 100% vegan, hand made by us.